"Walk & Train" was born out of necessity. 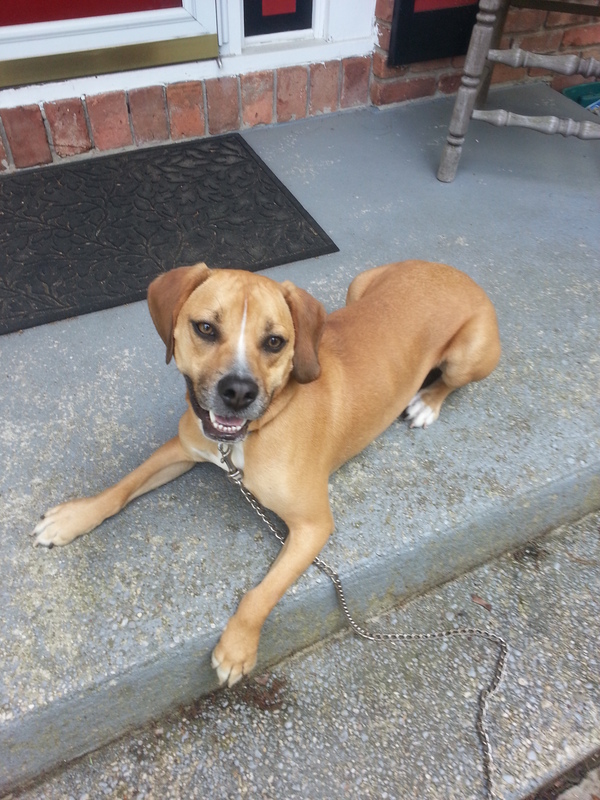 The first client to utilize "Walk & Train" was a dog named Jack, a beagle/English bulldog mix pup. His human companion needed help with Jack's puppyish ways but due to changes in circumstance, did not have the time to devote to training him. This active pup needed some basic obedience and walking skills lessons plus a little bit of polish as he grew into an adult dog. When Cheryl first met Jack, she found a happy pup who true to his beagle side, had his nose to the ground and was into everything. True to his English bulldog side, he had a stubborn streak which manifested in him "putting on the brakes" during walks and pulling whoever was on the other end of the leash to where he wanted to go. Since the owner did not have the time to devote to working with Jack, "Walk & Train" allowed Cheryl to teach Jack new skills and new behaviors. Lesson One was loose leash walking skills. Cheryl teaches that the walk is the key to everything. As she tells her clients, "Once you can walk your dog on a loose leash, you can do anything with your dog within his/her physical capability." What the walk does is not only give the dog physical exercise, but also mental exercise/stimulation and helps the dog form a bond with his human guardian. The dog learns to trust and follow his human companion. That is the anchor that allows the human to bridge the language gap and teach the dog basic obedience (sit, stay, down, come) and anything else. In Jack's case, once he grasped the concept of loose leash walking, Cheryl began basic obedience (sit, stay, down, come) training. Along the way, she has added commands, some created just to address Jack's unique personality, and before long Jack was able to walk well on a loose leash, respond to basic commands (both verbal and hand signal) and do simple things like taking treats gently. Below are links to several videos Cheryl has taken of Jack over time. These videos were shot by Cheryl and have not in any way been edited. Chino, a bull terrier in foster care with Paws Unite People volunteer, Susan, also went through "Walk and Train." Check out Susan's testimonial on our Testimonials page.